Mumbai/New Delhi: Hindustan Petroleum (HPCL) is looking to buy crude from sanctions-hit Syria and has asked state-run Shipping Corp of India (SCI) to arrange a vessel, sources familiar with the plan said on Wednesday. Sanctions aimed at crude oil exports have warded off regular buyers of Syrian crude, mainly European customers, offering an opportunity to big Asian importers like India and China that have stakes in Syria’s oil business. “The oil industry has requested SCI to do it. SCI cannot be a direct party, but can be a facilitator. However SCI is not assuring it will be done, but is trying to help them and making some enquiries (for vessels)," a shipping source said. At present, India imports no crude from Syria. A trade source said the Indian companies might be attracted to the Syrian crude because of potential discounts. Syrian oil represents less than one percent of daily global production but accounts for a vital portion of Syrian government earnings, which Western powers say could be used by President Bashar al-Assad for a bloody military crackdown on the opposition. A joint venture of India’s Oil and Natural Gas Corp (ONGC) and China National Petroleum Corp (CNPC) holds a stake in Syria’s main oil producing consortium Al Furat Petroleum Co, operated by state-run Syrian Petroleum Co. and Shell. Two sources at ONGC said because of EU and US sanctions output of fields in which the Indian firm has a stake has declined from around 84,000 barrels per day to about 70,500 bpd. “This is a forced cut because the Syrian government asked all operators to reduce output as vessels are not lifting volumes due to sanctions," said one of the ONGC sources. ONGC had earlier this year tried to ship crude to India from Al Furat for its unit Mangalore Refinery and Petrochemicals Ltd but insurance problems due to sanctions halted the plan. The shipping source also said Indian Oil Corp is also exploring whether Syrian crude can be brought in through national-flagged vessels. 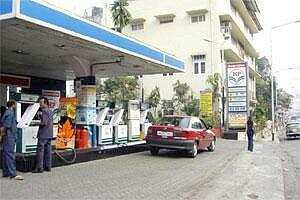 HPCL is still looking for a payment mechanism for the Syrian crude, an industry source said. “There are issues with P&I cover and also with payments. They need to check if a payment could be made to ONGC in rupees," said the industry source, adding HPCL was keen to buy ONGC’s share of oil in Syria. Sanctions on Iran triggered a payments crisis for Indian refiners buying its crude which was only resolved in July by using Turkey’s Halkbank as a conduit and there is no channel yet for payments to Syria. Iran has already lifted crude from Syria, the country’s first export since late September. Buyers from Russia and China are also lining up vessels, the International Oil Daily reported on Wednesday. Oil majors Royal Dutch Shell and Total have cut Syrian oil production as international sanctions make exports impossible, industry sources said earlier this month.